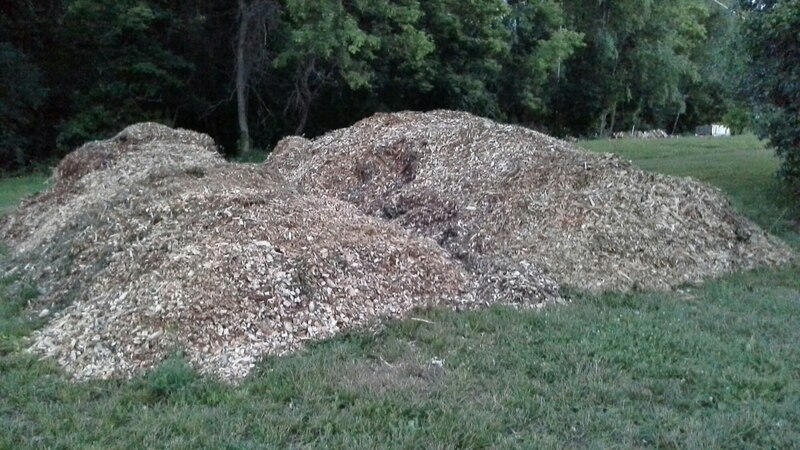 My mother noticed a company clearing for a new bike path and asked them if we could have the wood chips since they were working less than 2 miles away. They were willing so the wouldn’t have to drive the truck back each night to empty it. I’m not sure how big the truck is but we got several loads and I know we must have ended up with 20 yards plus. We will be spreading this around the rest of the summer. This entry was posted in homesteading, Land Restoration, Plantings, Urban Agriculture and tagged Mulch. Bookmark the permalink.